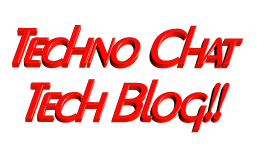 Dynamic Backup | Techno Chat|Tech Blog!! 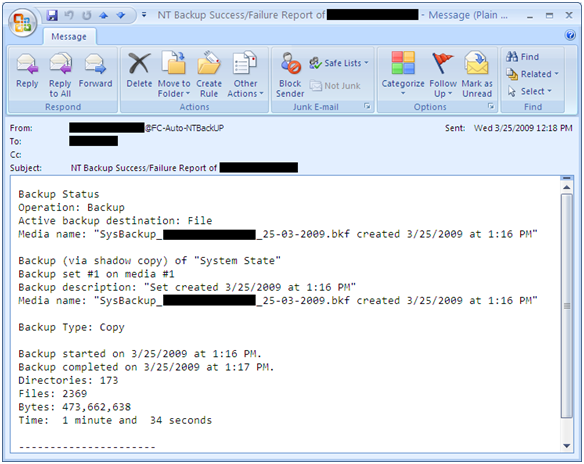 Automatic NT-Backup (System State Backup) with retention period and e-mail notification after complete. A simple script for automatic System State backup where you can easily set backup retention period and it also send you an e-mail notification after completion. With this script you can also archive backup log and if you wish u can also set backup log retention period. It can also set backup files with date stamp. Blat.exe for sending mail, you can get details from here. Forfiles.exe for checking old files, you can get details from here. Just download following zip file and extract its content to %windir% or %windir%system32 folder. Posted in Scripts, Server, Windows. Tagged Auto Backup, Auto Backup Manager, Dynamic Backup, Dynamic NTBackup, Everyday Auto Backup, ntbackup, ntbackup batch file/script, NTBACKUP script, NTbackup script with the current date/time, system state backup.